Domesticated in mesoamerica (Mexico and Central America). Maize development is thought to have started from 7,500 t0 12,000 years ago. Maize then was brought to North America. The US is still the biggest producer of maize with almost half of world harvest. 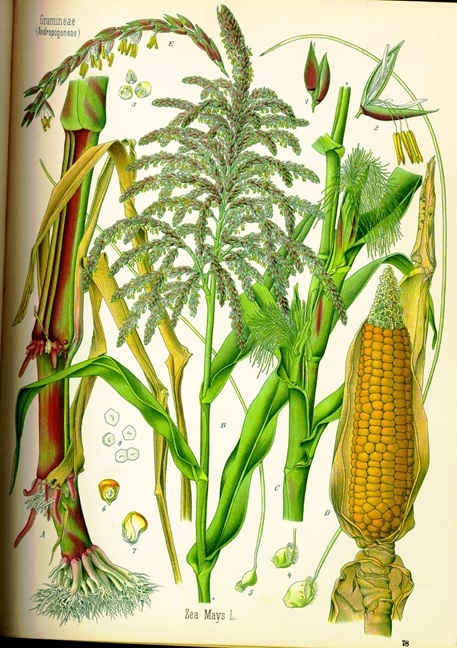 Maize was brought to Europe during the exploration of the americas in the 16th and 17th centuries. Used mainly as feed, Maize has the highest harvest volume world-wide with over 600 mio. tons. Rice is dietary staple of more than half of the world's human pooulation, making it the most human consumed cereal grain. 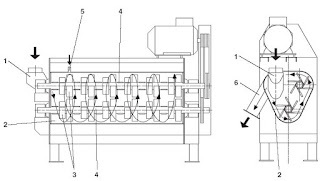 Rice culvitation is considered to have begun simultaneously in many countries over 6500 years ago. Main culvation areas were Asia and Africa. Rice production volume is similar to that of wheat and lists as number 2 or 3 depending on harvest year. World production of rice has risen steadily from about 200 million tons of paddy rice in 1960 to 600 million tons in 2004. The seeds of the rice plant (paddy) are first milled to remove the outer husks of the grain; this creates brown rice. Pearling and polishing is removing the germ and the rest of the husk, called bran, creating white rice. The processed rice is usually steamed of fried. Wheat is besides Rice and Maize the most important staple grain in the world. Cultivation began ca. 9000 years ago in Mesopotamia (today Iran, Irak, Syria). Then spread via Egypt into Europe. Wheat production is similar to Rice production at around 600 mio. tons. 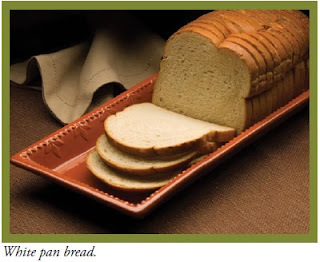 Wheat is the only grain that can be worked into bread without restrictions due to the content of Gluten protein. Barley is a staple food for humans and animals. Cultivation started in Mesopotamia from the 2000 BC. 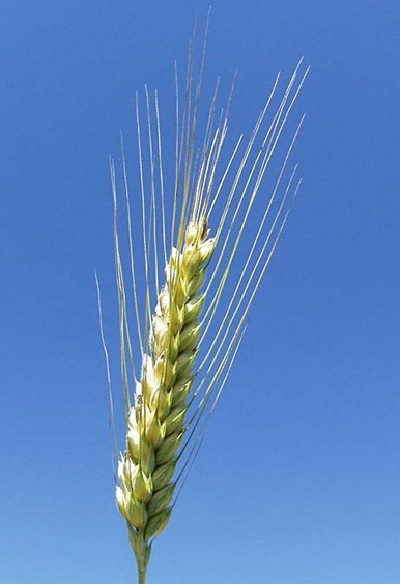 Barley can be divided by the number of kernel rows in the head. 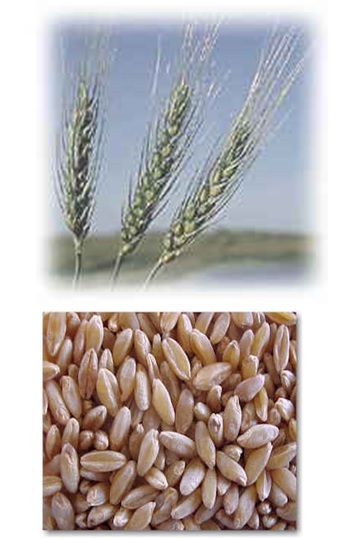 Three species have been cultivated; two-row barley, four-row and six-row barley. 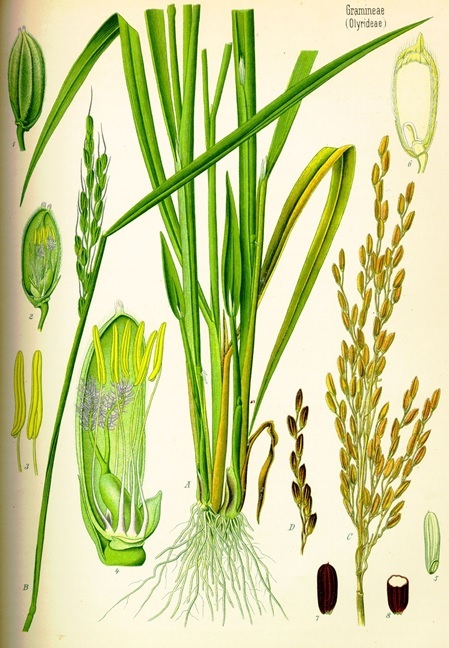 Two-row barley is the oldest form, wild barley having two rows as well. Two-row barley has a lower protein content than six-row barley but a higher enzyme content. High protein barley is best suited for animal feed or malt that has a large adjunct content. Two-row barley is best suited for pure malts. Four-row is unsuitable for brewing. 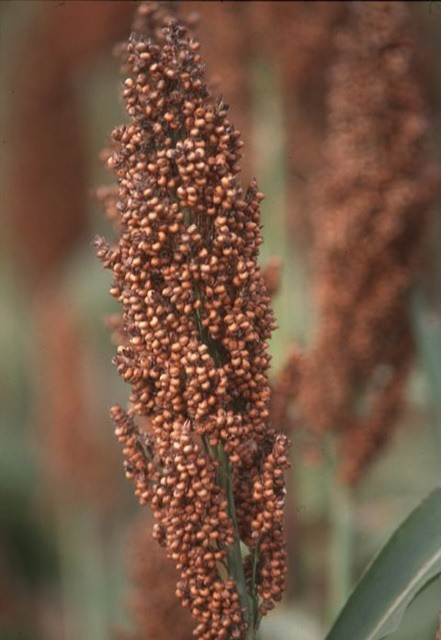 Sorghum is cultivated tropical cereal grass (like rice and maize). It originated in Africa and is the 5th major cereal crop in the world. Sorghum grains have a very similar structure to Maize. They both have a horny and a floury endosperm and a large germ. Sorghum consists of ca. In the past 25 years sorghum production in Africa has increased from 11.6 mio tons to 21 mio tons. Durum -from the Latin word for hard - is the name for the hardest of all wheats. Durum's hardness makes it the wheat of choice for producing pasta. Its high protein content and gluten strength make durum good for pasta and bread. Durum kernels are amber colored and larger than those of other wheat classes. Unique to durum is the fact that its endosperm is not creamy white, but yellow, which gives pasta its golden colour. 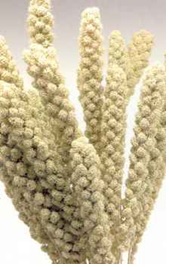 Millet origins in Asia and Africa. Oldest found in China date back to 4500 BC. Teff Millet has a high iron content - almost double of that of other food grains and calcium content almost 20 times more than other grains. 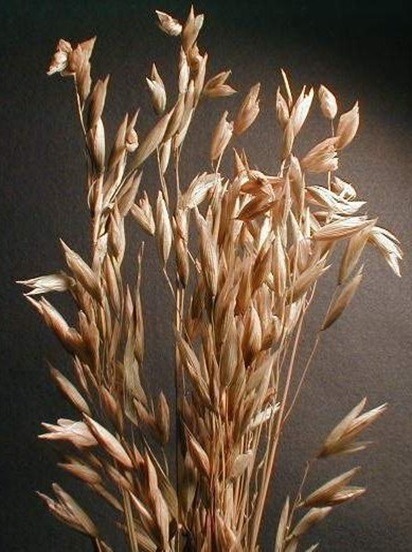 Oats are native to Eurasia and have been dometicated relatively late. They are grown throughout the climatic zones. They have a lower summer heat requirement and greater tolerance of rain than wheat, rye or barley. Oat bran is believed to lower LDL ("bad") cholesterol, and possibly to reduce the risk of heart disease. Oats are also a safe grain for people with celiac disease (gluten intolerance). 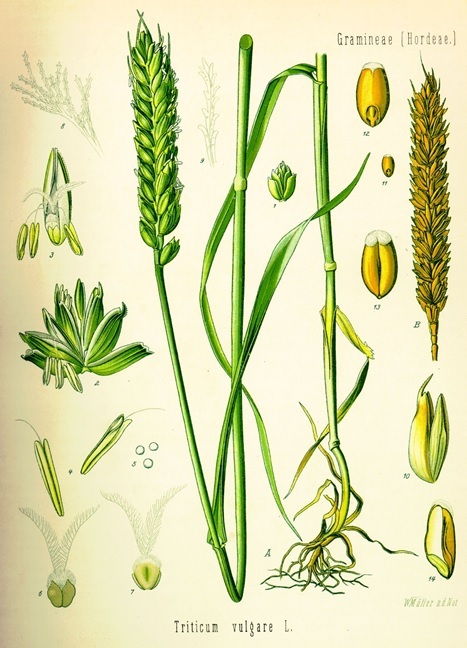 Rye (Secale cereale) is a member of the wheat tribe and is closely related to barley and wheat. Rye grain is used to make flour, feed, some whiskeys and most vodkas. Rye was not one of the main cereals of Classical Antiquity. Since the middle ages rye is widely cultivated in Central and Eastern Europe and is one of the main bread cereal there. 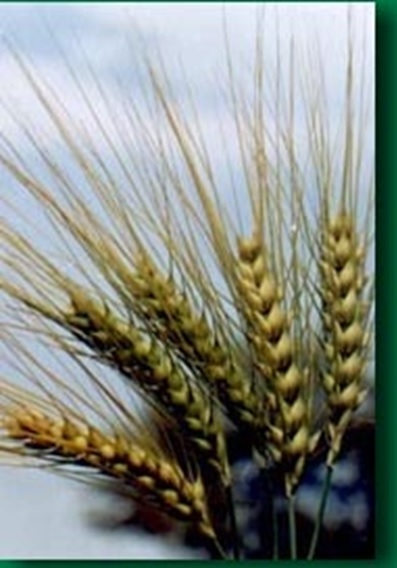 Triticale is man-made crop developed by crossing wheat (Triticum) with rye (Secale cereale). 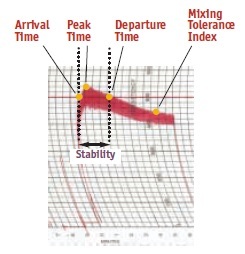 Drought tolerance is the primary advantage that spring triticales have over other spring cereal crops. While the nutritional quality of triticale is considered superior to wheat, the higher ash content, lower milling yields of flour, and inferior loaf volume and texture distract from commercial baking use of triticale.